If you love downloading and using apps, the problem isn't having all those apps. The problem is finding them. You only have a limited amount of home screen space, and everything else goes in the app bin. You have even less space if you have widgets on your home screen. Even if you're not an excessive app collector, you'll probably run out of space on your home screen. That means searching around in the app tray to find your app. That works OK, but sometimes you forget the exact name of the app, or it changes icons, and it throws you off. It's not very efficient. This is a problem you can solve. Organize your apps with folders! 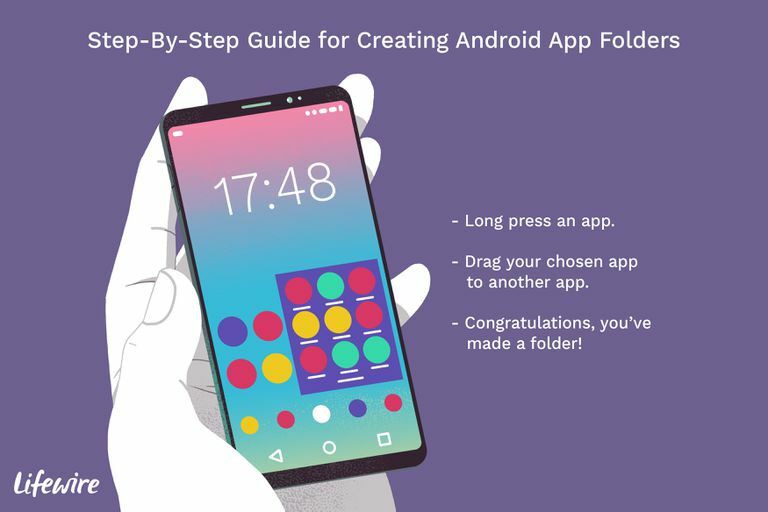 On some versions of Android, you can store up to four folders on the bottom of your screen, and in versions above Android 4.0 (Jelly Bean), you can store folders on your home screen in any space that a single app icon would normally occupy. Long press the app. That means you press and hold your finger on the app until you feel a mild feedback vibration and notice that the screen has changed. Now drag your app onto another app. It instantly makes a folder. This is pretty much the same way you do it on iOS devices like iPads and iPhones. Unlike iOS, Android doesn't infer a name for your new folder. They just keep it as "unnamed folder." And when your folder is unnamed, nothing displays as the name of your collection of apps. That's fine if you remember what they all are. If you want to give your folder a name, you're going to long press again. This time long press your folder. It should open up to show you all the apps inside and launch the Android keyboard. Tap out a name for your new folder and hit the Done key. Now you'll see the name displayed on your home screen. You can also drag your folder onto your favorite apps on the bottom of the Home screen on Android phones. That makes it two clicks to get to the app, but Google conveniently demonstrates this for you by grouping Google apps into a folder and putting it on your home row at the bottom. Dragging order is important. You can drag apps onto other apps to make folders. You can drag apps into existing folders to add to them. You cannot drag folders onto apps. If you see your app running away when you try to drag something on it, that may be what happened. The other thing you can't do is drag home screen widgets into folders. Widgets are mini apps that run continuously on your home screen, and they just wouldn't run properly inside a folder.